Google is reportedly in talks to acquire part of Virgin Galactic, the company that will ferry humans to and from orbit, according to a report published recently by Sky News. Part ownership in the venture would allow Google to more easily launch its satellites around the globe — some of which it hopes will provide Internet to parts of the world that still aren't connected. Google recently acquired Titan Aerospace, which is already capable of launching the "drones," and the company is also experimenting with high-flying balloons as part of another initiative called Project Loon. 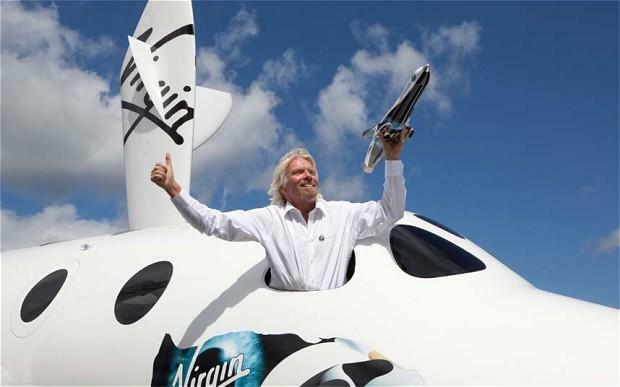 The deal could be good for both sides: Sky News says Google's cash chunk could help Virgin Galactic advance quicker and will also help provide it with needed funding to compete with other space tourism companies, including Elon Musk's SpaceX venture. Meanwhile, Google will have a new way to launch its satellites into space. Sky News said that, if a deal is reached, Google will earn a "small stake" in Virgin Galactic while also creating a joint venture with Virgin Galactic. Sky News said the talks are advanced and that the two companies have been meeting "for months."